Philip appears regularly in the Competition Appeal Tribunal, High Court, Court of Appeal and in the First Tier and Upper Tier Tribunals. He also advises on regulatory proceedings before Ofcom, the OFT, the Competition Commission and the European Commission. He is a Quondam Fellow of All Souls College, Oxford University and a contributing author to recent and current editions of Bellamy and Child’s European Law of Competition (7th edition, OUP 2013 and 8th edition, OUP 2018). EE Limited v Ofcom  EWCA Civ 1873: Acting for EE in its successful appeal to the Court of Appeal in judicial review proceedings against Ofcom’s decision raising annual licence fees for mobile spectrum. British Telecommunications v Ofcom; Hutchison 3G UK v Ofcom  EWHC 3376 (Admin): Acting for BT and EE in their judicial review claim against Ofcom’s decision to impose caps on the award of new mobile spectrum (2.6 and 3.4 GHz), and acting in relation to Hutchison 3G’s parallel judicial review claim. Also acted in the Court of Appeal. British Telecommunications plc v Ofcom; TalkTalk v Ofcom: Acting for TalkTalk in its successful appeal to the CAT against the terms of a price control imposed in Ofcom’s Business Connectivity Market Review (BCMR); acting for TalkTalk, Three, Colt and Vodafone in their intervention in BT’s appeal to the CAT against Ofcom’s BCMR decisions  CAT 25. Socrates Limited v Law Society of England and Wales  CAT 10 – successfully acting for the Claimant in an abuse of dominance claim which was the first fast track trial in the CAT. Agents Mutual Limited v Gascoigne Halman Limited: Acting for the Defendant on competition issues referred to the CAT, relating to the effect of contractual terms on the market for online property portals. Acting for Secretary of State for Health in High Court damages actions concerning breaches of competition law in relation to Gaviscon and Perindopril and appeared before the EU Commission. 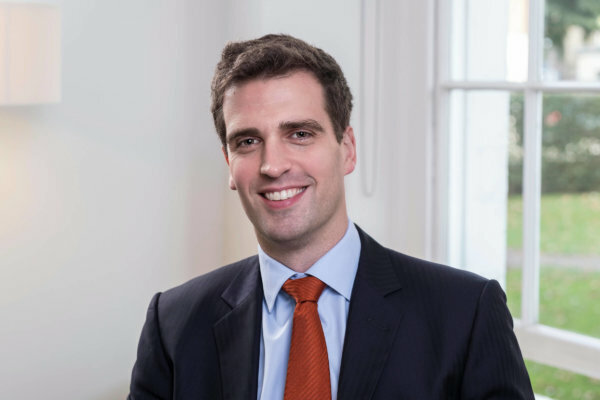 Philip is heavily involved in litigation both in the CAT and High Court and regularly advises on proceedings before Ofcom, the Competition Commission, the OFT and the European Commission. He has particular expertise in relation to platform markets, mobile networks (including spectrum issues) and pharmaceuticals. Acting for Secretary of State for Health in High Court damages actions concerning breaches of competition law in relation to Gaviscon and Perindopril, and appeared before the European Commission. EE Limited v Ofcom: Acting for EE in its successful appeal to the Court of Appeal in judicial review proceedings against Ofcom’s decision raising annual licence fees for mobile spectrum. British Telecommunications v Ofcom; Hutchison 3G UK v Ofcom: Acting for BT and EE in their judicial review claim against Ofcom’s decision to impose caps on the award of new mobile spectrum (2.6 and 3.4 GHz), and acting in relation to Hutchison 3G’s parallel judicial review claim. Terravision Transport Limited v Stansted Airport Limited; R (Easybus Limited) v Standsted Airport Limited: Acting for Stansted Airport in successful defence of abuse of dominance proceedings in High Court, and in successful defence of related judicial review proceedings in Administrative Court. British Gas v Ofgem: Appeared for British Gas in CAT appeals and reference to the CMA regarding price controls on electricity distribution. John Lewis plc v OFT  CAT 7: Appeared for intervener in appeal against the implementation of undertakings in lieu of a reference to the Competition Commission. Kier Group PLC and Others v OFT  CAT 3, Interclass PLC v Office of Fair Trading  EWCA Civ 1056;  U.K.C.L.R.304: Junior counsel for OFT in appeals against fines imposed on construction firms for “cover pricing”. TalkTalk Group PLC v Ofcom (Court of Appeal, judgment pending): Appeared in Court of Appeal for BSkyB (intervening) in appeal concerning a price control on British Telecommunications plc in relation to wholesale broadband services. (1) British Sky Broadcasting Limited and TalkTalk Group PLC and (2) British Telecommunications plc v Ofcom (Local Loop Unbundling)  CAT 8: Acted for Sky and TalkTalk in appeals to Competition Appeal Tribunal and references to Competition Commission. Vodafone Limited and Verizon UK Limited v Ofcom: Appeal and reference toCompetition Commission concerning price controls on business leased lines. Philip has undertaken a wide range of public procurement work, particularly in connection with the health and defence sector. He frequently advises and represents both private parties and authorities. Advising prominent defence contractors regarding the restructuring of a very long term, mulit-billion pound contract with the MoD. Advising a provider of supply chain finance in relation to the award of a framework contract. SITA v Greater Manchester Waste Disposal Authority,  EWHC 680 (Ch);  2C.M.L.R. 48 (first instance);  EWCA Civ 156;  T.C.L.R. 3 (on appeal), an action for damages under Public Contracts Regulations 2006. Philip advised and appeared on a range of free movement issues. Recent work includes Barco de Vapor BV and Others v Thanet District Council, judicial review and High Court damages action concerning the movement of live animals through UK ports. Past work has included advising or acting in relation to a criminal prosecution for breach of intellectual property rights and the Video Recordings Act 1984; the supply of biomass for electricity generation; and the operation of television broadcasting legislation. As regards EU consumer protection law, Philip was seconded to the (then) OFT to work on the investigation of unauthorised overdraft bank charges and has advised consumer regulatory authorities on enforcement work, including Retirement Home Exit Fees. He regularly advises private parties in connection with the application of EU consumer legislation, in particular in the telecoms and finance sectors. Clients have included a major mobile network operator, airlines, exam boards and commercial training providers. He has also undertaken a wide range of other work with an EC law dimension, including agriculture, freedom of establishment and free movement of persons. Philip also advises and appears in general commercial litigation. Acting for NHS Trusts defending claim for breach of contract with communications services provider;Acting for mobile network operator in debt recovery. Infinity Distribution Ltd (In Administration) v Revenue and Customs Commissioners  EWHC 1393 (Ch);  S.T.C. 2258: appeared in High Court for HMRC in debt claim on preliminary issue concerning rights of set off. Philip appears in both the First-Tier and Upper Tribunals and the Court of Appeal in relation to VAT matters, and previously appeared in the VAT & Duties Tribunal and Chancery Division. He advises on VAT, customs and excise duties issues, particularly where there is a need for specialist EU or human rights expertise. FJ Chalke Ltd v Revenue and Customs Commissioners  EWHC 952 (Ch), S.T.C. 2027;  EWCA Civ 313,  S.T.C. 1640: case concerning right to compound interest in EU law. Blackburn v HMRC: Appeal relating to the religious exemption from the obligation to file VAT returns online and rights under Article 8 ECHR. Bishop and others v HMRC: Appeal relating to compatibility of online filing with taxpayer’s human rights under Articles 8, 14 and Article 1 Protocol 1 ECHR. HMRC v Checkprice (UK) Limited (In Administration): appeared for Defendant in condemnation proceedings in magistrates court in relation to commercial quantities of alcoholic beverages. Representing a major charity in partial exemption appeal. The Chapter I Prohibition: Is it a Safe Bet? [2010 Comp Law 198 (with Christopher Vajda QC, now Judge of the European Court of Justice). Regular contributor of Case and Comment articles to De Voils Indirect Tax Intelligence. Philip speaks French, German and Italian. Philip is a committee member of COMBAR and a member of the Competition Law Association, Bar European Group and Procurement Lawyers’ Association.